In the beginning, SS commander Heinrich Himmler used Ravensbrück, the largest women’s-only concentration camp in the Third Reich, as a show camp. There were flowers in the window boxes, birdcages and a beautiful road lined with trees. Himmler would show it to the international Red Cross to prove he was treating the prisoners well. Then came 1945… In Ravensbrück, the inmates – largely Catholic but also Protestant and Jewish – were now starving, sick, and struggling to survive day-to-day in the camp known as “Hitler’s Hell for Women.” Many had lost husbands, children, and other beloved family and friends; all had lost their countries. In this hell, prisoners created Christmas parties for the children, organized education classes, wrote plays, shared food and clothing and protected the sick. And these women, from over 20 different nations, found a way to come together and risk their lives to save 63 young Catholic Polish inmates, many of whom were high school and college students, who had been horribly maimed by Nazi experimental surgeries on their legs and slated for execution. 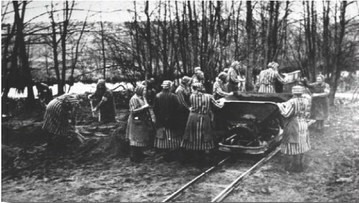 Not only did this international group of women pull off one of the most amazing large-scale concentration camp rescues of the war, but they ensured that the young Polish students, known as the “Rabbits” because of the way they developed a distinctive habit of limping—“hopping”—around camp on their wounded legs, survived to testify at the Nuremberg Trials against their Nazi doctors. It took the courage and cooperation of thousands of women of varying countries, religions, and political beliefs, but in the end - and against all odds - they saved the Rabbits of Ravensbrück. Ravensbrück is a camp relatively unknown because it doesn’t fit the typical Holocaust narrative. Every single Rabbit was Catholic. The hundreds of survivors’ stories in this account bear witness to the terrifying heterogeneity of Nazi crimes. The young students had been part of the Polish Catholic underground resistance intent on defying the brutal Nazi regime. Captured by the Gestapo, they were sent to Ravensbrück and were used by the Third Reich as laboratory animals for medical experiments to test the efficacy of sulfa drugs. The Nazis used the limbs of these young women to recreate war wounds and infected those wounds with aggressive bacteria, wood chips, and glass, trying to cause gangrene. They also experimented with removing and damaging nerves and muscles, and conducted bone transplantation from one person to another; healthy limbs were amputated. Dr. Karl Gebhardt was convicted of “crimes against humanity” and war crimes. According to several accounts the real purpose of the Sulfanilamide experiments was to vindicate Dr. Karl Gebhardt, whom Hitler had suspected of contributing to the death of a highranking SS officer, Reinhard Heydrich, who died from injuries sustained during a car bombing in 1942. 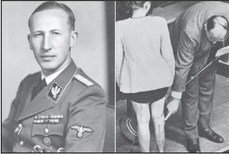 Heydrich was treated by Himmler’s personal physician, Dr. Karl Gebhardt, who refused to use sulfa drugs when treating his shrapnel wounds. When he died, Hitler blamed Gebhardt, insisting Heydrich was killed by gas gangrene. Gebhardt now needed to demonstrate the ineffectiveness of sulfa for the treatment of battlefield wound infections. He designed experiments which he manipulated to demonstrate that the sulfa drugs used in the military did not prevent death. At first, the experiments were conducted on male prisoners at Sachsenhausen, a camp in Oranienburg, Germany, but these were suspended because the prisoners complained too much and were becoming difficult to control. 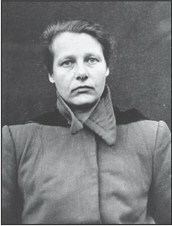 Dr. Herta Oberheuser, who was desperate to be a surgeon, performed many of the brutal experiments. She was eventually sentenced to 20 years in the Nuremberg Trials, but only served five. So the physicians turned to female prisoners, thinking they would submit meekly. At this camp there was also a female doctor, Herta Oberheuser, who accepted her orders with overzealous obedience. She helped perform many of the experiments and administered lethal injections. Herta had grown up in Düsseldorf, where newspapers operated under directives issued by the Propaganda Ministry and the radio waves were firmly controlled by the Reich. The focused young woman was an accomplished but impoverished young doctor inculcated by a culture of onesided, hate-filled rhetoric; so loyal that she didn’t think to question what she was told. She was also under keen pressure to establish herself in a male-dominated work environment, and she took to her tasks with frightening alacrity. At Ravensbrück the doctors would operate on groups of ten women at a time, observe them for a while and then use a different group. Five of them died during the experiments, and six were executed right after. Some of these last hadn’t healed yet and had to be carried to the shooting wall. Not only did the remaining 63 unlucky Rabbits work together to keep one another alive after the surgeries, but other inmates in the camp risked their lives daily, secretly bringing them food, water, and even medications to help them survive. A secret organization, mostly made up of Catholic women, dedicated itself to helping other inmates, regardless of nationality or religion. Their motto was “Persevere and help others survive!”; their mission was based on the oath that they had taken when they were part of the Girl Guides. In the United States, they would have been called the Girl Scouts. They took the same oath our Scouts do today – and lived by it. The Rabbits themselves, some of whom were former scouts, also courageously defied the Nazis, bravely protesting the illegal experiments and finding ingenious ways of smuggling outmessages to the outside world about their surgeries and the “selections” in the camp. One of the rabbits named Nina Ivanska wrote invisible letters in urine. She wrote them between the lines of a normal-looking letter and mailed them out of the camp. She got the idea from a popular Polish children’s detective book she read as a child. In the letters she and two friends wrote home to their parents, they told the details of the operations, how they were being operated on against their will, the names of the girls operated on and the ones who died from the experiments. These messages eventually made it to the Polish underground radio network in England, which broadcast the news of the experiments and mass murders at Ravensbrück - and warned specific camp leaders of their fate should such activities continue. But despite all of these heroic efforts, it seemed that there would be no way to save them; the Nazis were determined to eliminate all evidence of war crimes. Some 120,000 prisoners passed through the Ravensbrück over the course of the war; 50,000 died. When the women at Ravensbrück were about to be executed, they would do each other’s hair. They even pinched their cheeks for color, doing the best they could to make themselves beautiful for that last walk. They prayed fervently together and talked about whether they would be brave enough to shout “Long Live Poland,” because the Nazis hated that. The guards would offer them a sedative drink moments before execution, but many women refused to take it. Finally, on February 4, 1945, the crippled Rabbits who had survived thus far learned of their final death sentence. This article appreared in the March 15th issue of The Remnant Newspaper. See what else you missed--the E-Edition includes 3 months of back issues! The Nazis determined to execute all remaining Rabbits because they were living proof of the atrocities committed at Ravensbrück. The SS were coming for the Rabbits in the morning. Overnight, as the Rabbits stayed up writing good-bye letters, their loyal inmates came up with a plan to hide the Rabbits in the predawn hours, during roll call – right in front of the SS. Overnight, a group of Russian prisoners shut down the electrical grid, plunging the camp into darkness and allowing the women to hide under bunkers and in attic spaces. They also hid the girls by exchanging numbers with them or sneaking them into the typhus block where they slept among the dying inmates. This was a safe place since the camp staff did not enter the typhus block, afraid they’d contract the disease. Ravensbrück was one of the last camps to be liberated, leaving the Nazis plenty of time to destroy documents. As a result, little is known about the camp. But by the time it closed down, the results of the countless rabbit experiments were slanted in Gebhardt’s favor. But the sisterhood of Ravensbrück survivors refused to forget the Rabbits even after the war. The women of the French resistance brought the story of the continued suffering of the Rabbits in Soviet-controlled Poland to American activist and philanthropist, Caroline Ferriday. Her circumstances could not have been more different from those of the Ravensbrück prisoners — and yet she became one of their biggest defenders during a time when the reality of concentration camps seemed very distant to most Americans. In 1958, with the help of Norman Cousins, editor-in-chief of The Saturday Review, Ferriday reached out to the American public for donations that enabled 35 of the Rabbits to come to the U.S. for reconstructive surgery and the treatment of lingering infections and other diseases caused by the Nazi medical experiments and malnutrition. The women went to different cities, depending on which hospitals were best suited to handle their specific injuries. 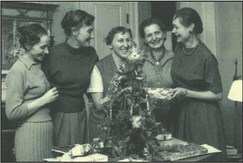 Four of the former prisoners stayed at Ferriday’s house in Bethlehem, Connecticut, for Christmas in 1958. Not only was the trip crucial for the women’s physical and mental health, but the publicity it generated forced the West German government to finally recognize the Polish victims of Nazi medical experiments. As a direct result of their efforts and the negotiating skills of Ben Ferencz, former Chief Prosecutor at the Nuremberg trials, the West German government eventually agreed to recognize not only such victims in Poland, but in other Eastern Bloc countries as well. Through their Catholic Faith, the Rabbits were able to endure the excruciating mental and physical consequences of their torturous stint at Ravensbrück. Although for some it took decades, most found the strength to walk and laugh again, to love and to trust, and most incredibly… to forgive. It was schoolchildren [who joined the Polish resistance], scouts before the war, very patriotic, very attached to their homeland and trying very hard to respond to the needs of their home-country—the home-country that was captured and taken away from them by the Germans. Then, after the Gestapo arrived, we were imprisoned and then deported, a large group of us, to the camp at Ravensbrück. * Stasia and Wanda were two of the young Polish women to be used as experimental subjects by Nazi doctors. Stasia was just 14 years old when she was chosen to undergo the experiments, one of the youngest to be operated on at Ravensbrück. Her leg was surgically opened and infected with tetanus and gangrene, broken glass and dirt. There are only five survivors of the experiments alive today. Stasia and Wanda visited Ravensbrück on the 70th anniversary of its liberation.